In honor of the holiday weekend, It’s all good! Bring a Margarita or a pitcher of Sangria to the table, Enjoy! 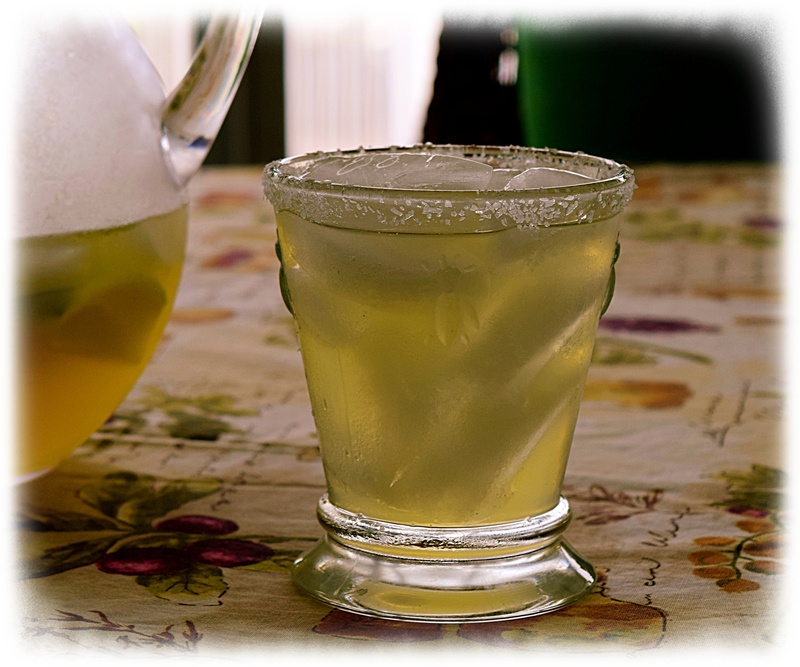 Short and sweet recipes for summer beachgoers…surely I know a few redneck margarita drinkers…trailer trash margaritas, too much finesse escapes me. …so far and just before the rain arrived I managed to squeeze in another seafood dish over the long weekend inspired by Eric Ripert’s spicy sausage and clams I incorporated Hugh Fearnley’s Tupperware chorizo a handy seasoned pork recipe that makes a great quick burger or addition to anything that calls for chorizo. Find the recipe for the chorizo in another post of mine, link below. You must love clams and you must love curry, if not, don’t bother, but what an unusual twist on a nicely seasoned broth…bring some rice, so as not to waste a bit of the pan sauce! So here is it and needless to say, I just made a pan for two. Heat the olive oil in a large saucepan. Add the garlic, onion, lemon zest and curry powder and cook over moderate heat, stirring occasionally, for 5 minutes. Add the andouille and cook over moderately high heat for 2 minutes. Add the stock and bring to a boil. Add the clams, cover and cook, shaking the pan a few times, until they open, 5 minutes. 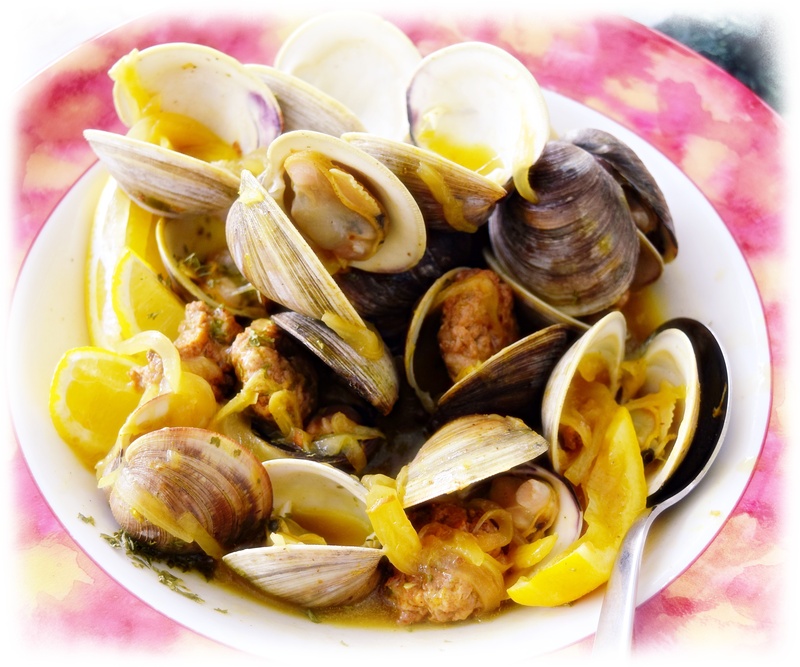 Using a slotted spoon, spoon the clams into shallow bowls. Stir the cilantro into the broth, then pour over the clams. Serve with lemon wedges. Sit on the back porch and watch the action/or no action!